Custom designed 8x10 heavy duty 10mil stencil. 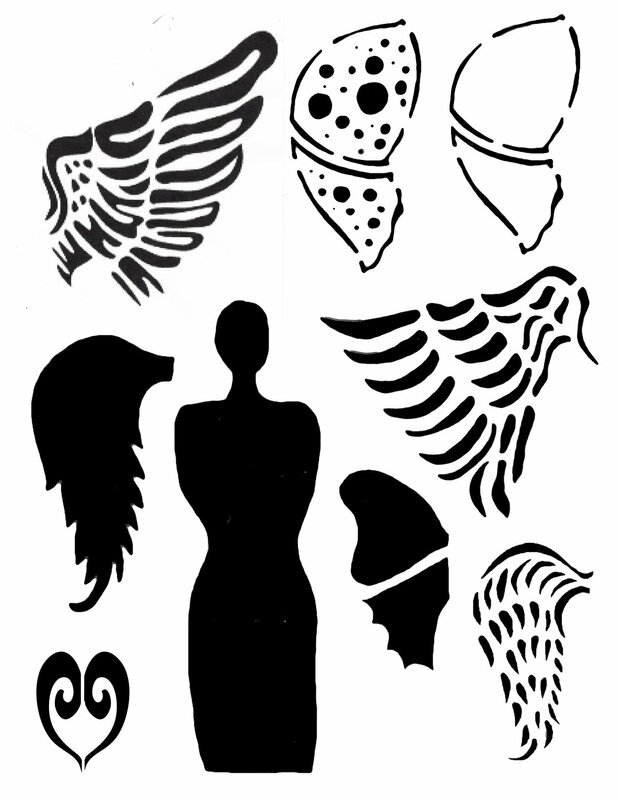 women figure with a variety of wings. it also include the masks.